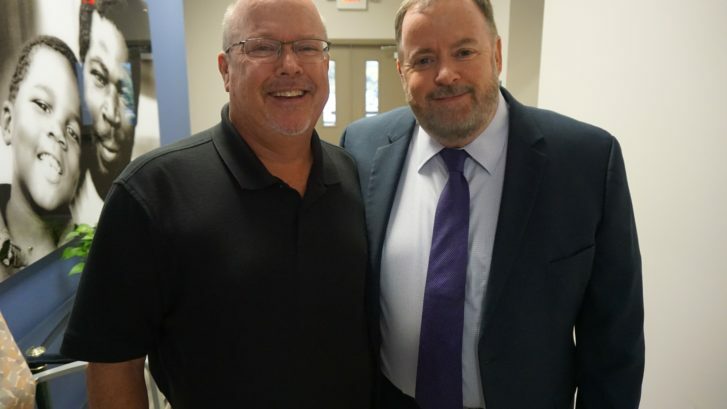 Sarasota, Fla. – 11/26/18 –Lutheran Services Florida (LSF) has hired a familiar face to be the new Executive Director of their Guardianship program in Sarasota. Peter Howard has deep ties in the Sarasota community with 35 years of experience in social services. In his new role, Peter will oversee the Sarasota Guardianship program with a $1 million-dollar budget and ten employees. The program provides protection, coordination, financial oversight and advocacy for individuals who are unable to care for themselves, regardless of their ability to pay. The LSF team strives to help individuals live safely and with dignity, in the least restrictive setting possible. The departure of Chris Card as the Chief Operating Office has led to these most recent changes bringing on former DCF secretary Mike Carroll as the Executive Vice President of Programs and moving Peter Howard from an interim leadership position to now a full time executive director role in Sarasota. Since 1982, LSF has served millions of Floridians as a leading, life changing human services organization with a wide range of programming including early education, refugee and immigration, mental health, foster care case management, and crisis care for youth and elderly. For more information on LSF, visit www.lsfnet.org. I would love To get more info on thé guardanship program.